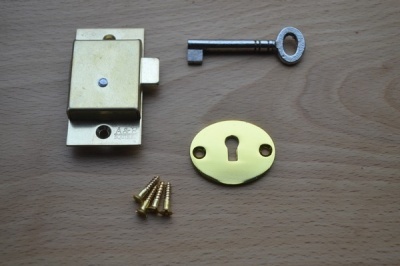 High quality solid brass British made cupboard lock set with escutcheon and fittings. 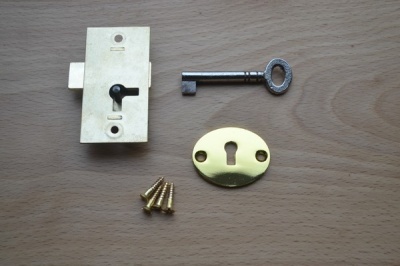 Fits left or right hand doors (dual-throw bolt). 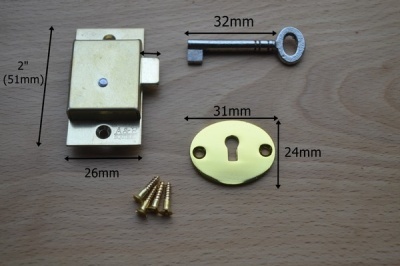 Single lever single key.